Creative Trim and Performance also offers sales and installation of many other products in addition to those listed here. Creative Trim and Performance is an authorized dealer for WeatherTech Floor Liners. The WeatherTech Floor Liner accurately and completely lines the interior carpet giving absolute interior protection. 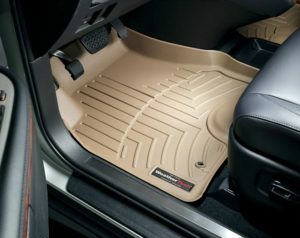 The WeatherTech Floor Liner lines the interior carpet up the front, back and even up the sides of the vehicle’s footwell. Digital laser measurements of interior surfaces offer and consistently perfect fit. a patent pending High-Density Tri-Extruded material allows for a rigid core for strength while offering surface friction to the carpet, as well as the tactile feel to the surface. Advanced surfacing creates channels that carry fluids and debris to a lower resivoir with further channeling to help minimize fluid movement while driving. Once fluids become trapped in the reservoir, away from shoes and clothing, they are easily removed from the WeatherTech Floor Liner over the door sill. 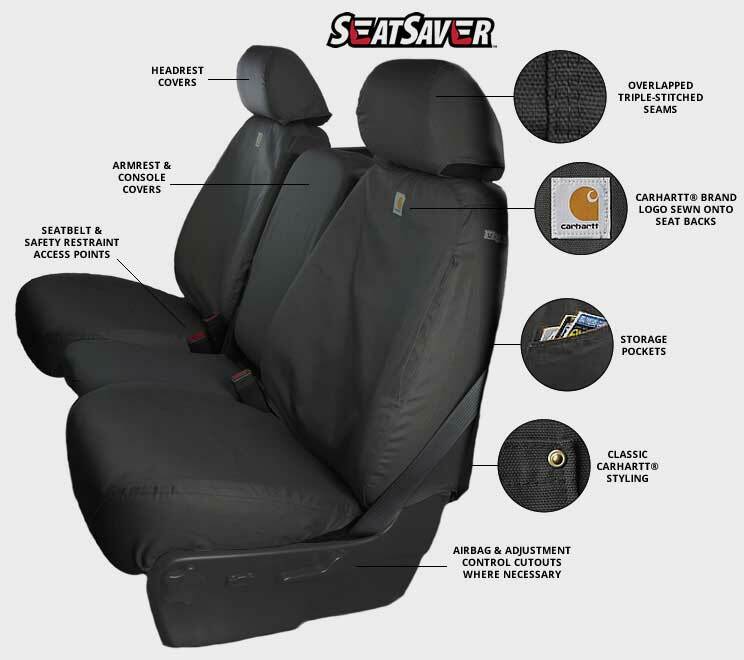 These aren’t just custom seat covers, they’re custom seat PROTECTORS! Patterned to fit your vehicle specifically, they slip on to provide protection from sun, dirt, daily driving and extreme working conditions. Creative Trim and Performance is an authorized dealer for Gatorhyde Spray-In Bedliners. They provide the ultimate protection for truck or trailer. The high performance comes from its combination of high physical properties, abrasion resistant, and complete waterproofing. Spray-In bed liners are continuous, monolithic membranes that do not have seams and cannot leak. They are peel, crack, flake or chip resistant – they are bonded to the steel to provide perfect corrosion protection. 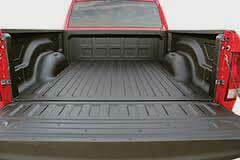 Spray-In bed-liners also have a unique stipple finish that looks great and prevents cargo from sliding around in the truck bed. Bed liners permanently bond to truck beds and stand up to impact from rocks, tool boxes, or any other cargo you are hauling. They maintain this toughness in any temperature. Bed-liners will not chalk or quickly fade from the sunlight. If they get a little dull over the years, your nearest dealer can easily rejuvenate them with the application of Gator Gloss. These bed Liners Look GREAT! They have a stippled appearance after application that is uniform throughout the entire liner. The stipple effect and the gloss are long lasting and stand up well to exposure to sunlight, keeping your truck looking great for years to come. Creative Trim and Performance is and authorized dealer for SunTek Automotive Window Films providing sales and installation services. Stop by today and let us add custom lighting to your ride so you won’t be left in the dark! Creative Trim and Performance is an authorized dealer and installer of Back Up Cameras. 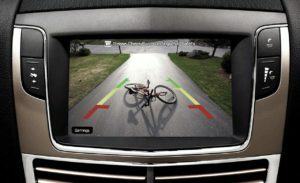 Backup cameras are common on vehicles that tow difficult-to-see trailers, such as motorhomes, or passenger vehicles that want an added level of safety when backing. Recently, with the rise in popularity of in-dash DVD players and GPS navigation systems which aid in justifying the expense of adding a color LCD to the driver’s seat, back up cameras have become much more common, often available as optional factory accessories on standard passenger trucks and sport utility vehicles, as well as aftermarket accessories. Inside the vehicle, the display is typically wired to automatically sense when the transmission is set in reverse, showing the backup view while in reverse, and showing the map (or other content) at all other times. 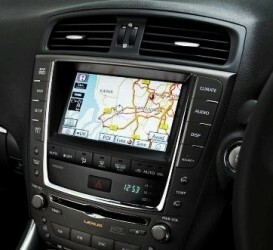 Creative Trim and Performance sells and installs in-dash, JENSEN integrated GPS systems for most any vehicle. Creative Trim and Performance provides sales and installation of Tekonsha Brake Controllers. 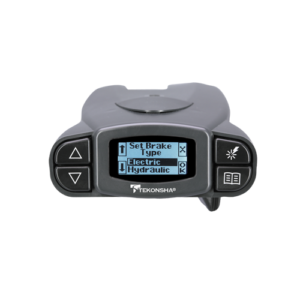 Proportional based controls offer a smooth braking response to almost any stop. Through the use of a sensing device, the brake control can determine the tow vehicle’s rate of deceleration and then apply the trailer brakes to match. In other words, Proportional controls deliver power to the trailer brakes in direct relationship to the actual physical deceleration of the tow vehicle. 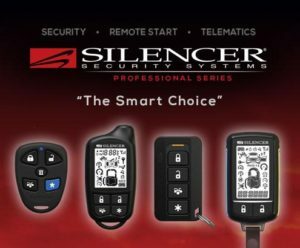 Creative Trim and Performance sells and installs SILENCER Remote starters. 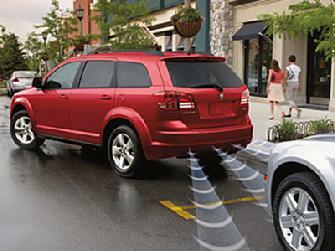 Creative Trim and Performance sells and installs SILENCER auto security systems.